09.03.2006 - A few months ago we had the honour of hosting Funkfoot on CozmiKast. It's about time we add them to our permanent archive here on mindmined.com. Here's "No Reason" from their EP "Badunkafunk". Thanks guys! 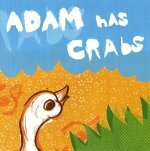 05.03.2006 - The Crabs For Sale album has been represented here for some time, but thanks to Adam Voss we've been able to add some newly remastered tracks from the early 90's recordings. Check out "Heil Hitler" and "Toss Your Cookies", and the updated "Hungry For Crab". Catchy stuff! 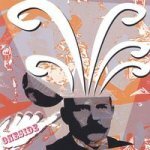 11.12.2005 - You've already heard them on CozmiKast, but as promised they now appear in our permanent archive: the band Oneside, out of Boston, brings electric banjo goodness to the halls of Mind Mined. Thanks to Ned deBarry and Jerry Kibbey.